​This is Splendour. You better listen up. 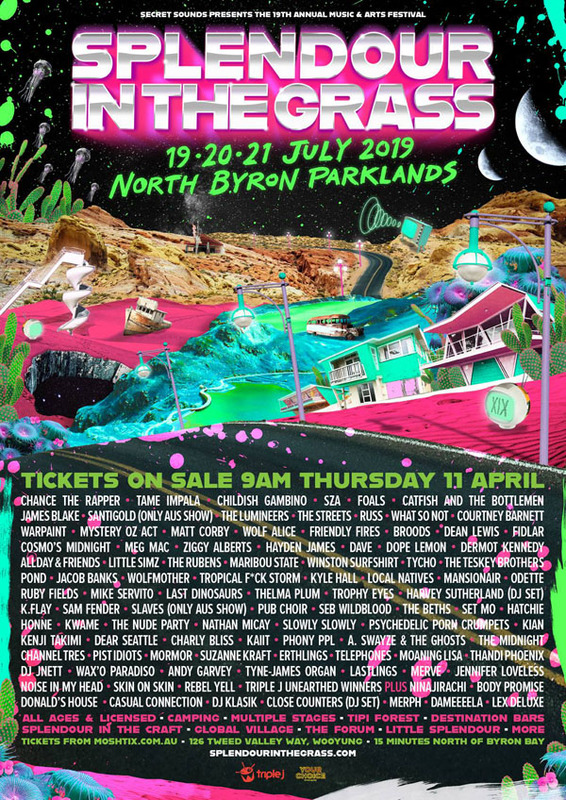 The 19th annual Splendour in the Grass returns to its forever home at North Byron Parklands from Friday 19th to Sunday 21st July, serving up one of the biggest and boldest music and arts moments to hit your calendar in 2019. Look what they’re whippin’ up! Over 100 of the world’s most exciting, provocative and seminal musicians alongside a crew of revered homegrown talent will descend upon Splendour in the Grass to light up the Amphitheatre, Mix Up, GW McLennan and Tiny Dancer stages this winter. Rap royalty and hip-hop heavyweights collide with boundary breaking rockers, RnB bosses and psychedelic visionaries. You want it? Splendour’s team of 2019 has got it.